22 hours of travel: one car, three planes, one taxi, one hike, one boat trip. 4 whacks to the head on my hatch. 1 face plant on the deck. At least 10 cups of coffee. So here I am, on the Tara Expedition. When I started this blog it was 7pm last night and the crew was returning from some much needed shore leave and exercise. They have been at sea for two weeks straight so it’s not surprising they want to stretch their legs. The flights here were mostly easy – many, but easy. My first flight was PDX-Dallas, and we were delayed, leaving me only minutes to pee and buy food before boarding onto the new flight to Santiago. That flight was long but a redeye, so I got at least 4 hours of sleep and got to watch two Marvel movies. Um the X-men movie kind of sucked. How is that even possible? Bad movies about mutants aside, Chile was a brief but pleasant stop over. I’ve been to Chile before on holiday with Andrew when we toured the southern Torres del Paine National Park and volcano district. Even the two-hour layover reminded how nice and laid back the Chilean people were. The airport was lovely and easy to navigate even with my super crappy Spanish. I longed to spend more time in Chile but that will have to wait till another day. The flight to Easter Island was surprisingly long – almost six hours; a good reminder how remote this place it. The flight was also remarkably rough. I’ve crossed the Pacific numerous times, and each time there is some turbulence, but that had to be the most intense and sustained turbulence I’ve experienced in a long time. It actually got a bit frightening at one point but the calm of the flight attendants made it seem pretty standard. 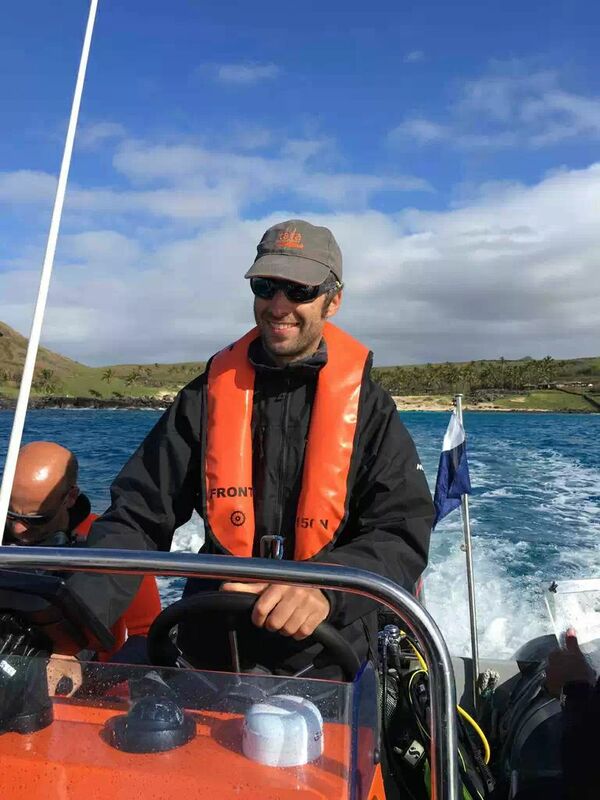 Once we arrived into Easter Island / Isla de Pascua / Rapa Nui, I met up with another Taranaut Calixte from Brittany, France, who will be working on the plankton side of the work. He is a young plankton researcher who will be doing a bulk of the water filtering with Guillaume B (there are two Taranauts named Guillaume). One of Tara’s main missions is to catalogue the various plankton communities across the sea. Guillaume told me they have already sampled over 60 sites on his watch. We waited for Calixte’s bag in vain, as his connection was so close from Miami to Santiago that his luggage did not make it. Neither did Chris Voolstra, another Tara PI and our collaborator from the Red Sea, who was delayed overnight in Frankfurt due to a whole airport shutting down due to a security breach. But we were given the bags of two other Tara folk who missed their luggage earlier in the week, so it was win win. Landing in Easter Island, I was immediately struck how different it is than the rest of Polynesia. It is not tall like the Hawaiian Islands or Tahiti or Moorea. It is rather flat with oddly short and squat cinder cones of the volcanos jutting out at the corners. Also, hearing Spanish being spoken in Polynesia is rather disarming, albeit comforting for this non-French speaker. 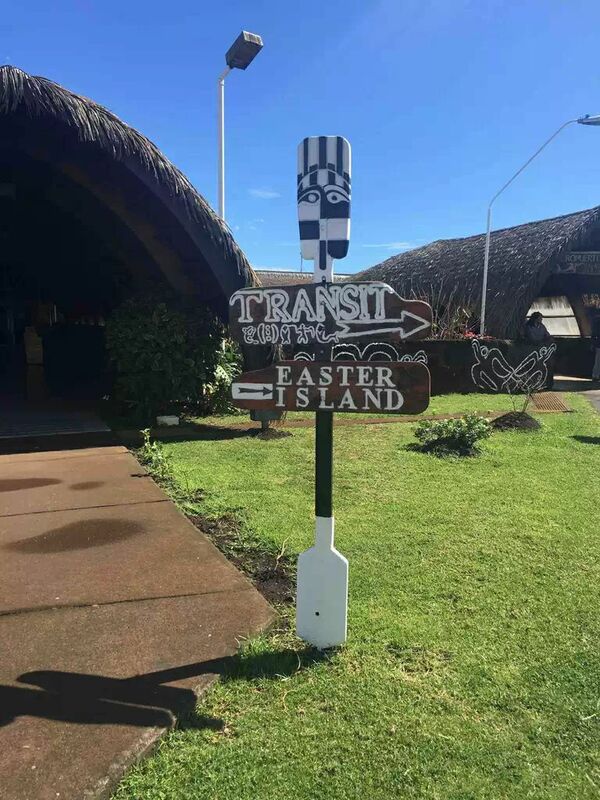 Polynesia’s sordid history is clearly displayed when you realize that in all the islands there are many different languages spoken: English in the Hawaiian Islands, Samoa and New Zealand, French in the Southern French Islands, and Spanish here. The history of this island is strange, mysterious, and also rife with the colonial conquest issues of the past. Chile acquired Easter Island in the late 1880’s but not before many of the locals were either killed or expatriated. It was even run by Mooreans at some point, and also offered up to the British who oddly passed. 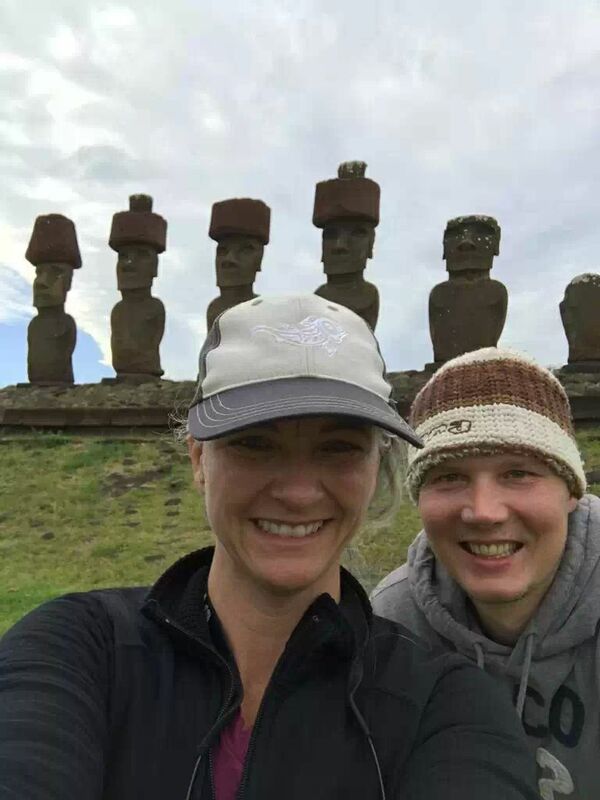 Unfortunately, we didn’t have time to see any of the Moai statues for which Easter Island is famous, but we we will be here a few more days and hopefully get off the boat to see some of the sites. To get to the boat we hired a cab, and when we told him where we were he had never heard of it but figured it out from our description. Also, I had seen Tara from the air so we knew where she was moored. We had to walk our luggage down a steep ravine but it was pleasant outside and another boat was moored alongside Tara. The crew of that ship was at the dock and agreed to buzz our boat and let them know we were waiting ashore. We got picked up at the same time as many of the crew were leaving to spend the afternoon in town. I quickly and sheepishly said hello and gave the required 2-cheek kisses. But then we were rushed off to the boat. Once on board I wasn’t sure what to do with myself (I still don’t, which is why I am writing this). I image I will feel like for some time until I get my bearings and some directed science tasks. I did meet the captain, Sam, and keeper of the house Marion, immediately. Marion showed me my room, and I hastily unpacked my seasick meds and took 2 before I could succumb. My room is quite sizable and my decision to pack lightly was unnecessary really as there is quite a bit of free storage space. The boat is really large but the seas here are quite rough, and so we are rocking pretty good. I hung out with another scientist, Emilie Boisson, on the back deck for a few hours, and we talked about the project and some logistics while occasionally laying down on the sea pads to feel better (she was slightly sea sick, too). The air is quite cool and that is nice. I was evening wearing my sweater and pants to stay warm most of the night. After a while I realized how tired I was (only got about 5 hours of sleep and in a plane, so not good sleep), and so I took a short 1-hour nap. I felt remarkably well after that and even began this blog in the cabin without getting seasick (knock on wood). Dinner was started by Marion and Sam and when I asked if I could help they told me to start drinking beers. Now that’s a task I can do. Dinner was served quite late, around 8 (how European), and really excellent, ling cod (I think based on her description of the fish and its taste and texture) and vegetable curry stew with brown rice and salad. I ate just a little for fear of getting sick (no one wants to barf curry, much alone fish curry), but I wanted like three humongous plates of that stew. I hope all the meals are as amazing. After dinner I was briefed on some of my duties. As all members of the crew, I am responsible for lunch and dinner duties as well as night watch. Tasks for meals include service (setting the table and serving people), dishes (self-explanatory), and cleaning up. ‘Watch’ is an hour long duty everyone does each night. This essential job requires that you scan the instruments for issues like coming off our safe mooring site (not good), the dinghies or lines on the deck getting screwed up (bad), water in the instruments (very bad), and fire (really really bad). If any of these things happen then I relinquish any responsibility to someone else. For example, if our boat comes off its anchor or drifts too far into a danger zone I wake up Nico, who by my understanding is the second in command. If the wind speeds get above 25 knots (it was around 17-21 during my watch) then I wake up Nico. If there are any water or fire alarms, then I… you guessed it… wake up Nico. The only thing I can do on my own is close the hatches if it begins to rain. All in all, not a bad job, and the hour went quickly, but thank god I took that nap ‘cause I was pretty knackered. I got an early watch, so luckily I could sleep all night after 11pm. I think that was pretty kind of them. In retrospect, I wish I had brought my sweatshirt to watch and also peed beforehand. The only incident during my watch was me eating it on the deck when I tripped over a line while I was checking out a strange noise which ended up being two crew fixing something at the bow. I guess it was a good early lesson to learn… always look at where you are stepping on the deck cause there is a ton of things on it to make you fall down. Apprehension. Excitement. Honor. Complete terror and insane wonder. These are the feelings I have been going through (sometimes all in the same five minutes) when I think about my voyage on the Tara. Tara you say? Yes Tara! Tara is a 36 meter (that’s ~110 ft for you Americans) sailing ship, devoted to the collection scientific samples and the dissemination of knowledge and good will across the world. Tara is currently on its 11th oceanic mission called the Tara Pacific Expedition which our lab was asked to join back in late 2015. Our lab’s mission is to help collect, catalogue and evaluate the viruses associated with two species of coral across the entire Pacific. In December of 2015 I travelled to Tara headquarters in Paris with my postdoctoral research and colleague Dr. Jerome Payet, who is an expert in aquatic virus ecology and conveniently French. 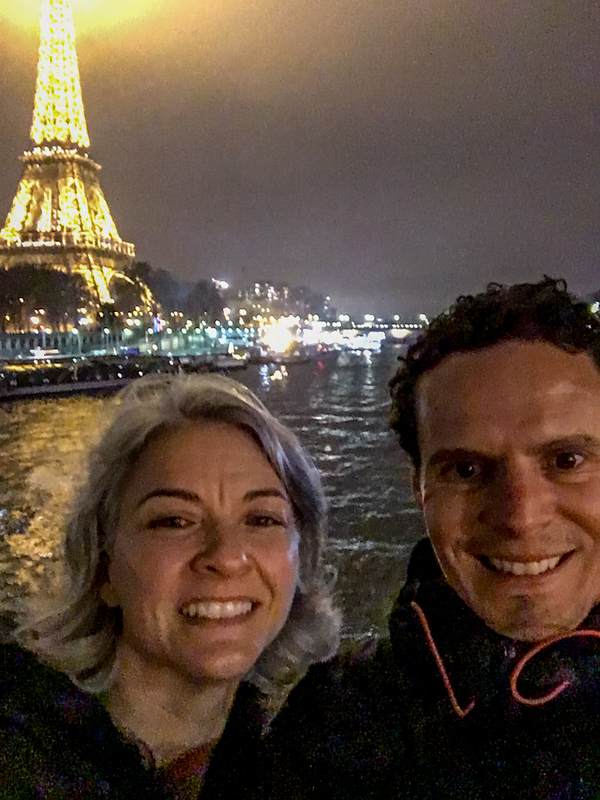 Jerome helped me navigate and fall in love with Paris those few days (merci beaucoup Jerome!) 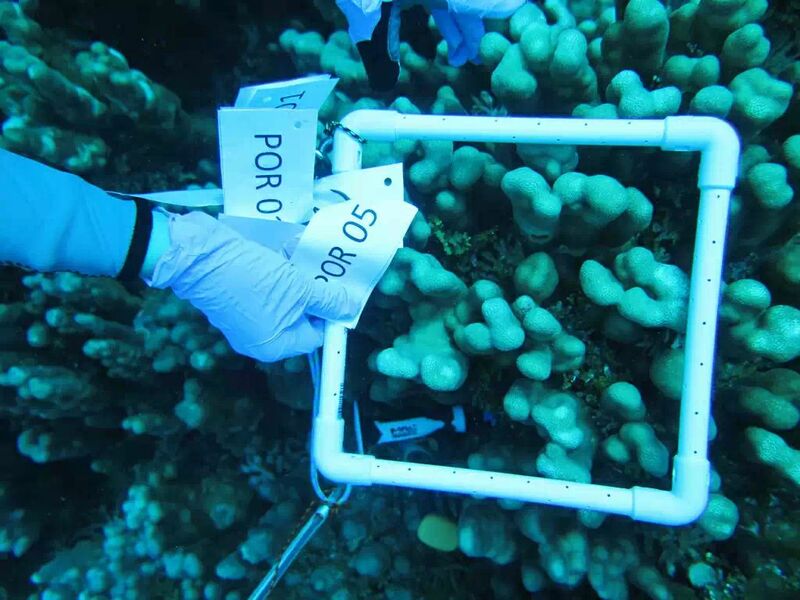 but more importantly helped the newly assembled Tara Pacific Team devise a sampling strategy and determine a few of the many logistical issues associated with the coral virus aspects of this expedition. 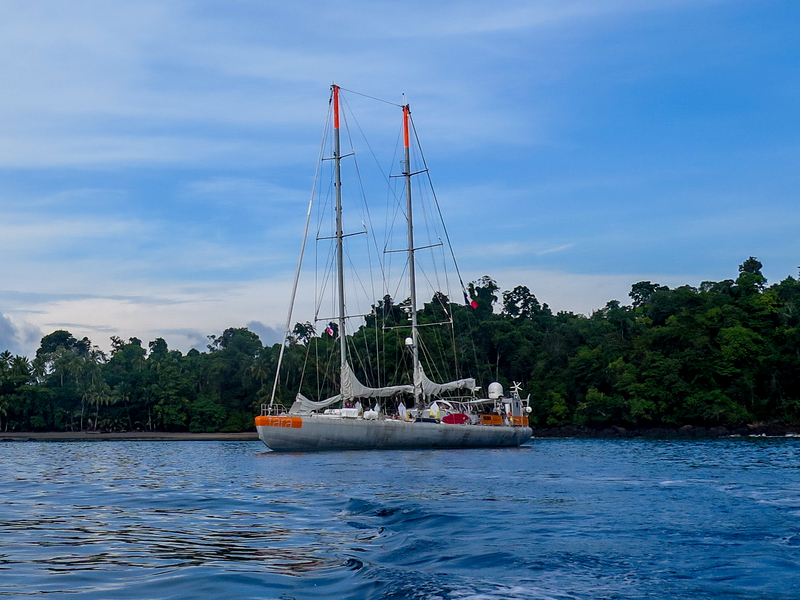 Tara anchored in Panama during the first leg of the trip. Photo by Maren Ziegler. Most of the members of the scientific and logistics team are European (mostly French), as the Tara program is funded by the European Union and other European and international partners. 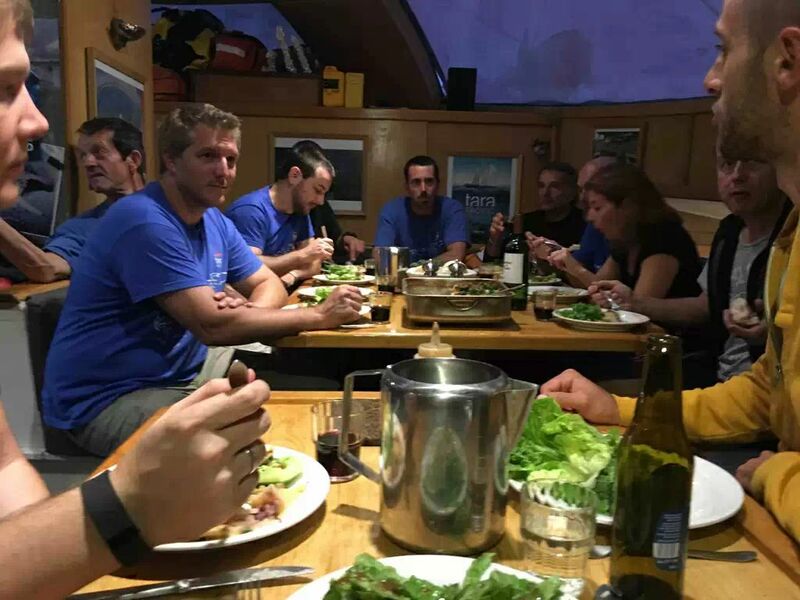 In fact, our lab is only one of two non-European labs heading the scientific mission of the Tara Pacific expedition, and on the boat I will be the only one who doesn’t speak French. Doh! But what an honor to be chosen to lead this endeavor, and we were so lucky to be asked to participate! Thanks to everyone who threw our names into the collaborator hat! Becky and ‘conveniently French’ Jerome during the planning meeting in Paris. 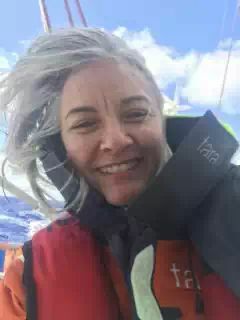 So since December the Tara team has been tirelessly getting the boat, equipment, permits, and all the amazing amount of paperwork and other 10,000 things done to launch the expedition in May. The boat successfully sailed from Paris to Miami and then Miami through the Panama Canal where the first leg of this year’s expedition started. 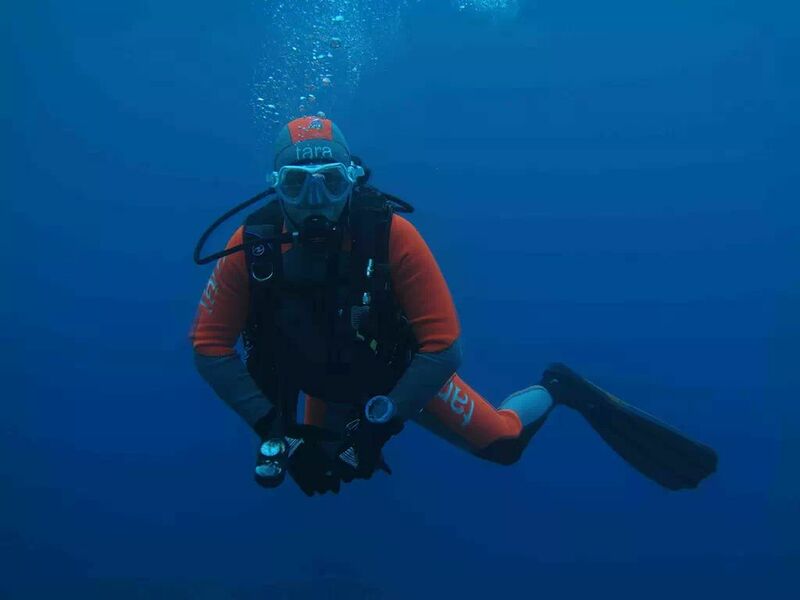 Our very own Ryan McMinds was sent on that leg where he was instrumental in augmenting and finalizing the underwater protocol for collecting the corals. Ryan along with our friend and collaborator from KAUST Maren and ended their trips on the west coast of Panama. 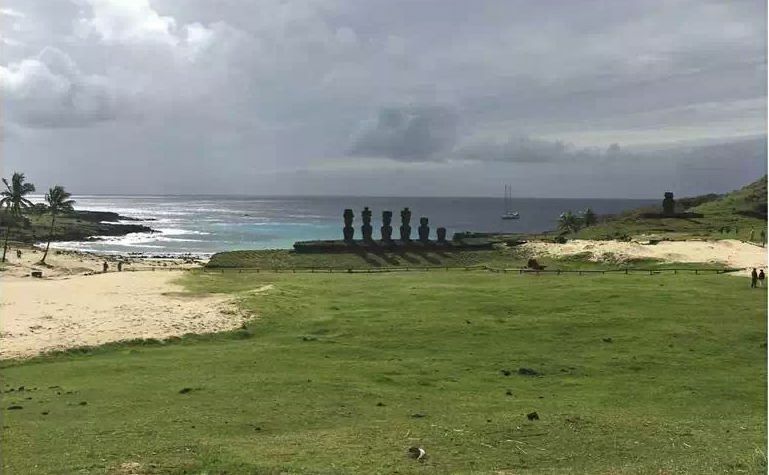 Currently the sailing team is in route to Easter Island (Rapa Nui) where I will meet them and journey across some of the most remote islands in the world. And therein lays my apprehension and terror. Now I’ve travelled a lot to many remote and foreign places. 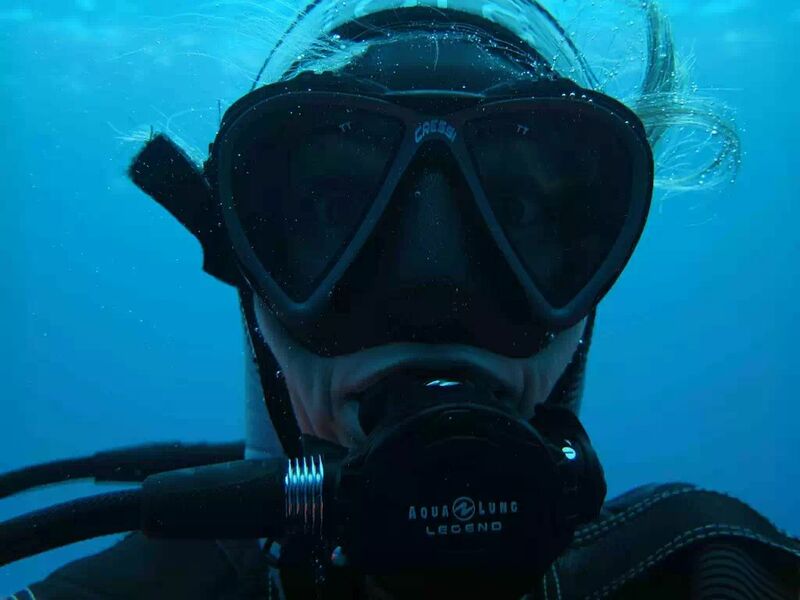 I have spent hours and hours on small boats doing coastal marine science, and I have logged hundreds of hours of dive time underwater in many tropical locations. But I have never spent more than 7 days on a boat, and that boat was an 83m (273ft) research vessel Atlantis, not a sail boat! Many of you might think I’m pretty adventurous, but I’m going to admit that I am kind of a wuss. I love traveling in retrospect, but usually when I do it I just want to go home. Yet I need to do this. It’s something every marine biologist dreams of…to be cliché…it’s a once in a lifetime opportunity. 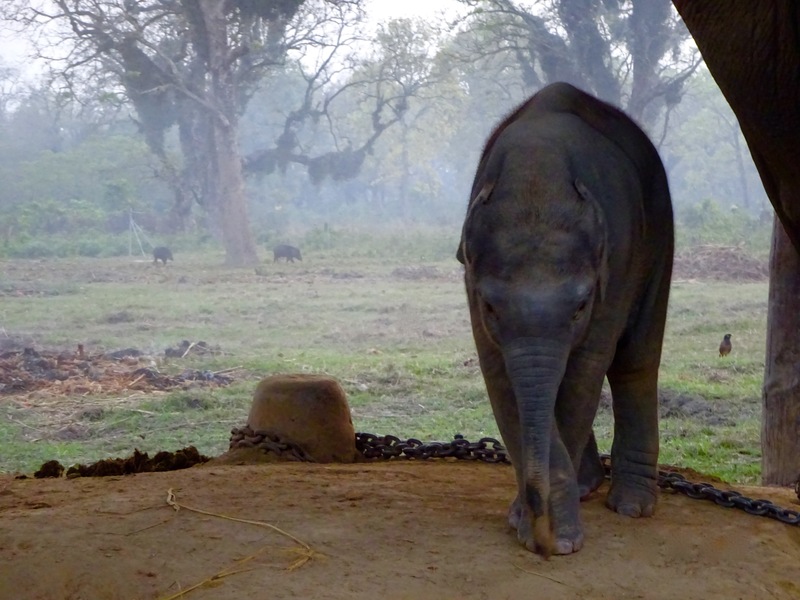 Expeditions like these are amazing life experiences both personally and career wise. It’s gonna forge new scientific collaborations and probably generate life-long bonds among the science team and crew. Never the less my ulcers get a little bigger each time I think about being at sea in the middle of nowhere. Well… it’s not that far you say? Oh yeah? So Easter Island/Rapa Nui is 2,182 miles from its protectorate nation of Chile. Its closest neighbor island is the least populous (only 56 people live there) nation in the world, Pitcairn which is famous for its descendants of the mutinous Bounty crew, a short 1,289 miles away. The island where we disembark, Gambier/Mangareva, is a short jaunt of 1,619 miles away. Also I will have no internet (yeah no politics for 4 weeks) or email (I dread my inbox on the day I return)! YES MIDDLE OF NO WHERE! Famous Moai on Easter Island. Photo from Wikipedia. 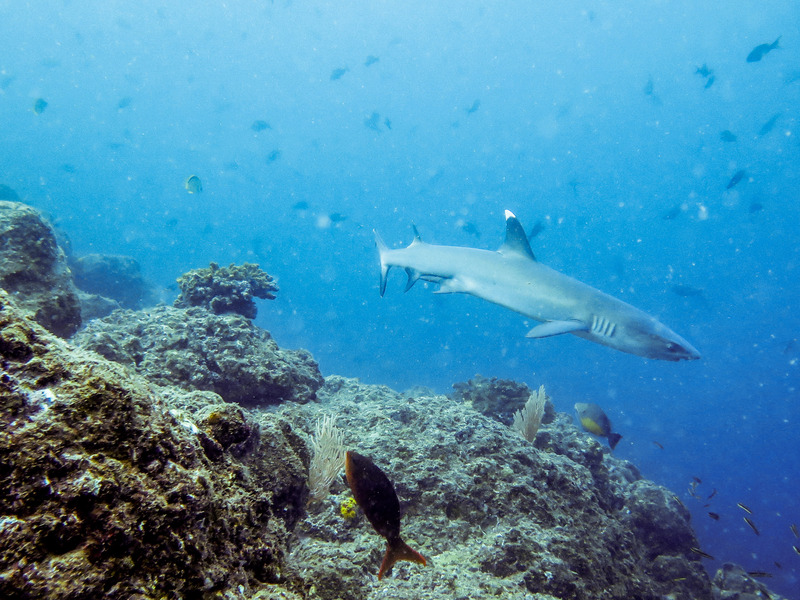 Fortunately middle of nowhere might also mean some of the most pristine reefs of the world. I can barely imagine what I will see and experience. Whales? Sharks? Whale sharks (please please please)? Coral cover and species diversity like I’ve never seen? I hope. 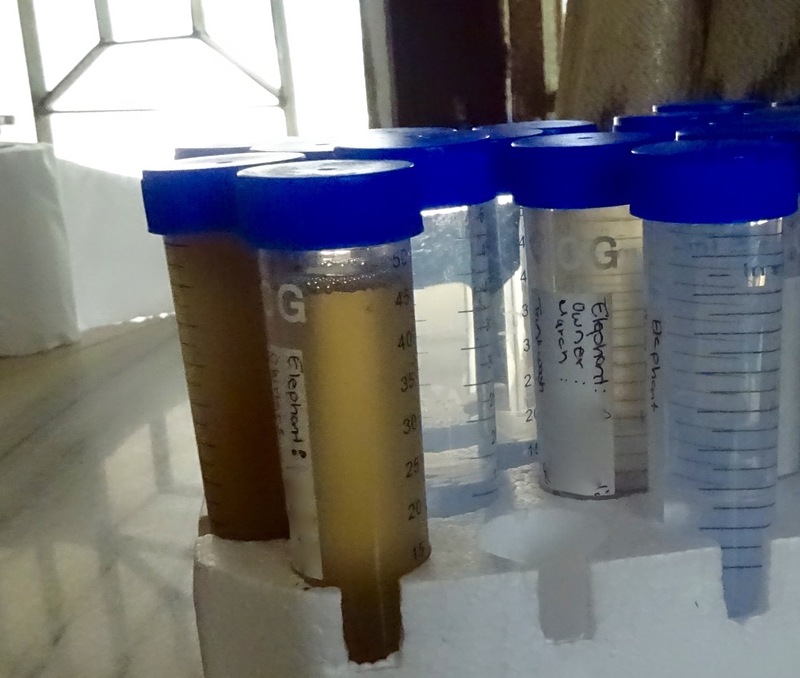 I’m also super excited about the microbiology we will be uncovering. 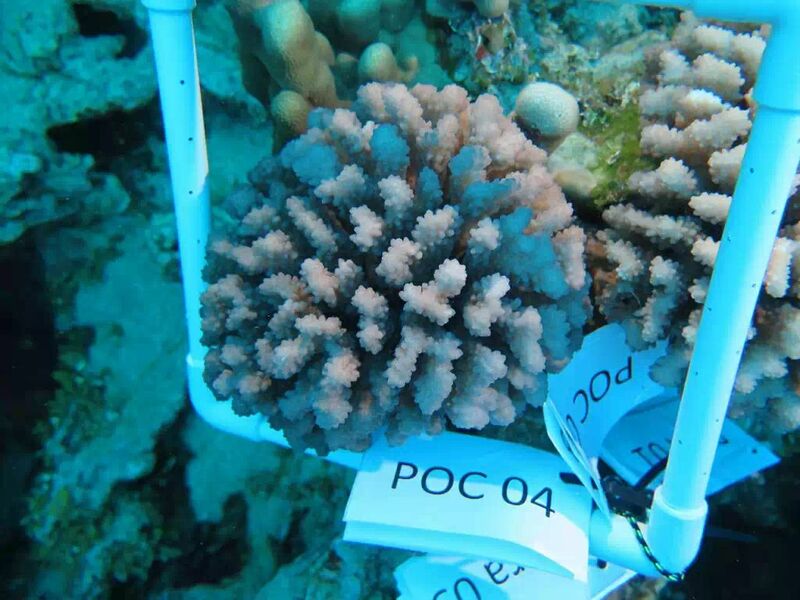 We’ve never done such an extensive latitudinal and longitudinal survey of the microbes and viruses associated with corals before. 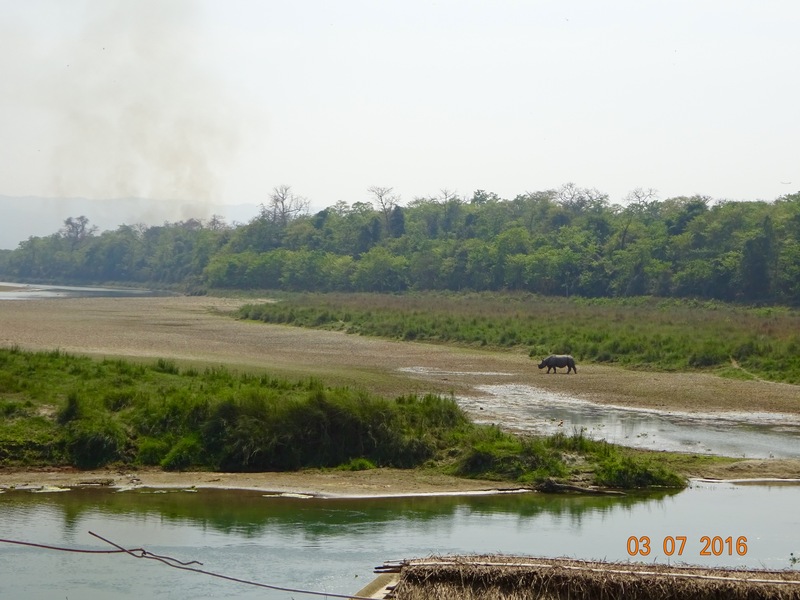 This Tara trip will likely uncover new taxa and diversity like we’ve never recorded before. We might also be able to say what drives much of the co-evolution of these taxa with their symbionts. The data will be a long way in coming, but combining our GCMP data, we’ll hopefully have the most extensive geographical and phylogenetic analysis of the coral holobiont in history thus far. So I’ll keep you updated on the adventure. Wish me good weather, scientific luck, and whale sharks. Au revoir! Hoping this Panamanian shark’s cousins come out to play in the South Pacific. Photo by Ryan McMinds. Ever wonder what’s inside of the brain of a harbor seal? As promised I am here to provide some new information about marine mammals. I know you’ve waited too long. 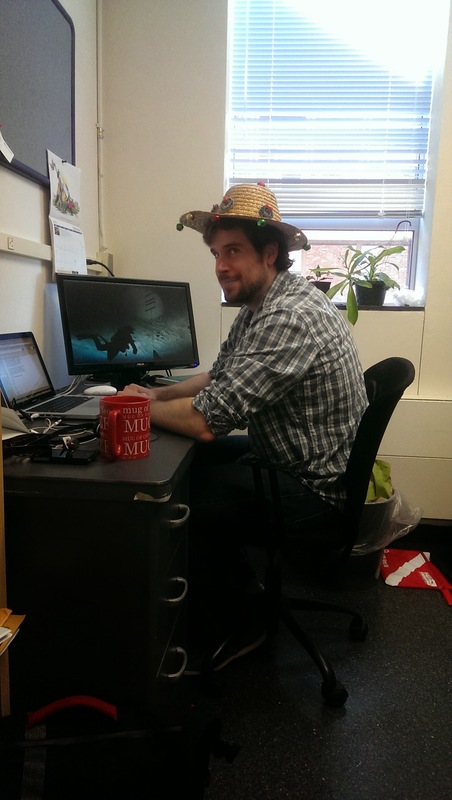 This time I will be telling you about my very own research that was just published in PLOS ONE!!! This is my first, first author publication so there was a steep learning curve on data analysis, graphing, and the publication process. 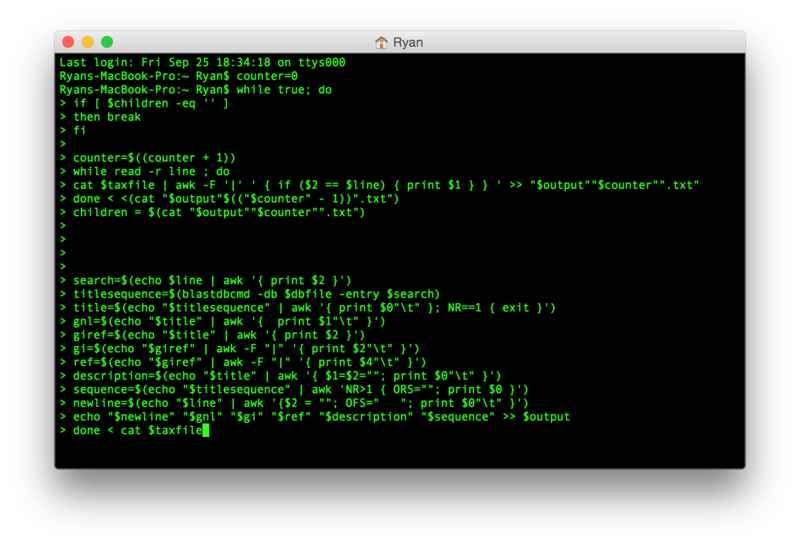 In future post I plan on taking the reader on the journey of my first publication. Especially the struggles, since the public often doesn’t hear about that side of science. For this blog I will give a quick synopsis of my paper for those who just really want to know what I found inside the brains of Pacific harbor seals. Although, before I get to the nitty gritty of my story I like to tell you a bit about my study subjects, the harbor seals. I mostly worked with pups (< 1 month) and weaned (1 -12 months) harbor seals, which tend to be born between February and April. Their mothers wean them for about 3-4 weeks and soon after they begin to catch small fish and shrimp. During these early stages of life, they encounter many dangerous situations for example, being preyed, starvation, and disease. I am particularly interested in the diseases of young harbor seals, since understanding this may increase their survival rates during this fragile stage of their lives. About 44% of marine mammal diseases remain a mystery. That means that many harbor seals die and we have no idea what’s killing them. 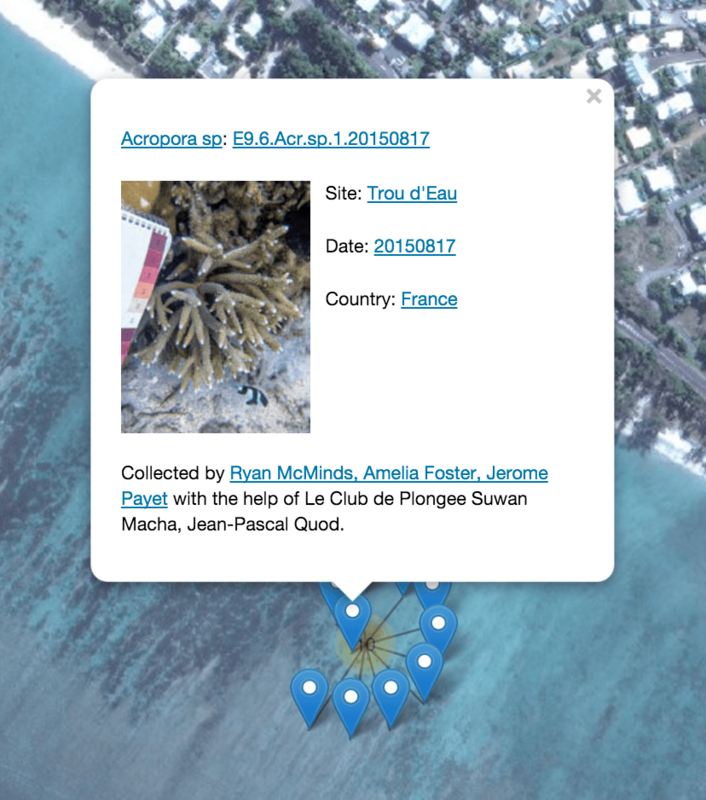 So, I wanted to help discover possible culprits that cause marine mammal diseases. I started my search with the brain tissue of 14 harbor seals that were found sick on the California coast. I first looked into the viral world and I found viruses in four of the animals from the family Herpesviridae, which have previously been found in harbor seal brains in European and North American waters. A virus from this family (Phocine herpesvirus-1, PhV-1) are particularly harmful for young seals since they have an undeveloped immune system. However, the bacteria side of the story proved to be a bit more interesting. One of our significant discoveries was the presence of Burkholderia along with a high amount of Burkholderia genes that are known to cause disease. Burkholderia is an interesting genus of bacteria that can be zoonotic (passed from animals to humans), but it is also ubiquitous and can be harmless. While this is not the first time someone has looked for bacteria in the brains of marine mammals and found Burkholderia, it is the first time that this bacteria was found in harbor seals in the USA. So where else were Burkholderia found in the brains of marine mammals? Well in Southeast Asia, this bacteria was found in an aquarium, which caused the death of marine mammals. Our other interesting finding on bacteria comes from Coxiella burnetii. Similar to Burkholderia, it was found at a high abundance with high amounts of disease causing genes. Unlike, Burkholderia it was not found in all our harbor seals, but only in three of our animals. Meaning this pathogen may be less common in harbor seal populations compared to Burkholderia. C. burnetii is a known pathogen that needs to replicate within a cell (obligate intracellular pathogen). It is best known for causing Q fever, but in marine mammals it causes inflammation of the placenta (placentitis) and it has never been found in the brain of harbor seals. We think since these harbor seals were young animals, the placenta may be a source of C. burnetii infection for pups, but this is just a hypothesis that needs some testing! So what exactly did we learn from all this? Well our study adds to our knowledge about the distribution of Burkholderia in marine mammals and like in Southeast Asia it may also be causing the death of harbor seals in the USA. Also, now we know that C.burnetii can infect the brains of harbor seals and we should investigate the source of this infection. Finally, we can now begin to monitor for these bacteria in the brains of these animals as possible sources of infections.